Anny Chen is a Canadian-Taiwanese violinist currently studying at the Royal College of Music, in the class of Dr. Felix Andrievsky. She started her musical education at the age of four and soon after began winning prizes at the Kiwanis Music Festival of Vancouver. She then received a full scholarship to attend the Purcell School for Young Musicians in London, where she studied until 2012 under the guidance of Evgene Grach. 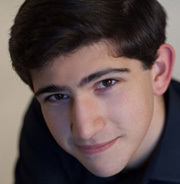 Between 2010 and 2014, Anny was an active participant of the Perlman Music Program in New York, where every summer and winter break a select group of talented students from around the world have private lessons, chamber music and orchestral coaching with Itzhak Perlman. In 2001, at the age of 6, Anny won 3rd Prize at the Canadian Musical Competition (CMC) where she was the youngest participant. 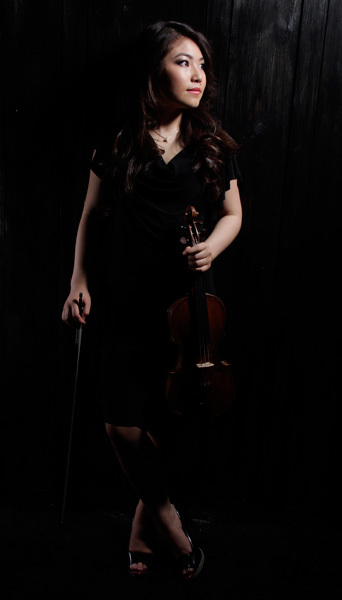 Since then she has had successes at numerous international competitions including title of Laureate and Further Studies Award at the Kloster Schoental International Violin Competition in Germany (2011) and 1st Prize and prize for Best Performance of a Concerto at the Violin of the North International Competition in Russia (2009). Also in 2009, Anny was the 2nd Prize winner at the Rickmansworth Young Musician of the Year and in 2010, she was a finalist the 17th Andreas Postaccini International Violin Competition in Italy. As a soloist, Anny has given performances in series at prestigious venues such as the Wigmore Hall, LSO St. Luke’s, St Martin in the Fields and the Leeds International Concert Series. She made her concerto debut in 2006 at the Acadèmia Internacional de Música de Solsona where she played the Bach A minor Concerto with the AIMS Chamber Orchestra, lead by Leon Spierer (former first concertmeister of the Berlin Philharmonic). She then performed with them again the following year, playing the Bach Double Violin Concerto in D minor. In 2007 and 2008 Anny was invited to perform the Bruch and Mendelssohn violin concertos, respectively, with the Regent Orchestra in Alyesbury and in 2013 she performed ‘La Folia’ by Corelli with the New Virtuosi Chamber Orchestra. In 2012, Anny was selected to lead the Purcell Symphony Orchestra in its 50th Anniversary Celebration Concert at the Royal Festival Hall and her solos in Holst’s The Planets received special praise in a review by The Guardian. 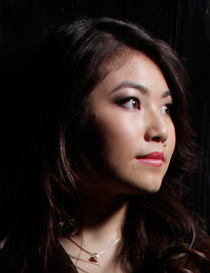 Anny is also a keen chamber musician and has performed movements from the Brahms G minor Piano Quartet and Schubert’s Trout Quintet at the Wigmore Hall in 2010 and 2012 respectively. Future appearances include appearing with the Cambridge Graduate’s Orchestra in April playing Lalo’s Symphony Espagnol. She is now the holder of a full ABRSM scholarship at the Royal College of Music and plays on a Jean-Baptiste Vuillaume kindly on loan from the RCM.